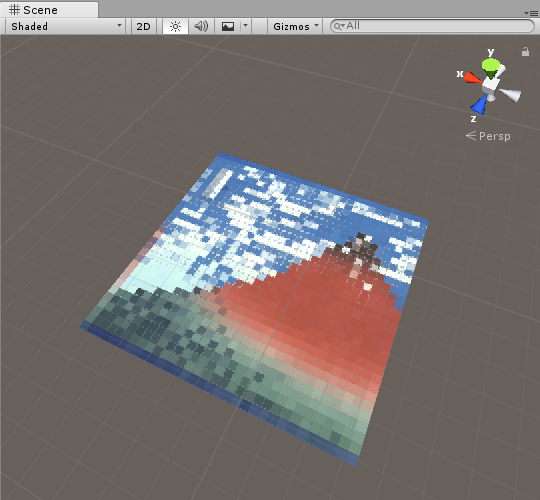 In this article, I will introduce how to blur out an image using Unity. By adding a mosaic effect over images, you can gain an interesting effect. First, I will explain about the mosaic effect, then introduce the steps how to implement a blur out effect. In this article, I borrowed and used an image named 凱風快晴 from the Public Domain Museum. In this tutorial, we will use 凱風快晴, so please download it and add it to the Unity Project. I will explain how to create a mosaic effect. By dividing the image into square blocks, and filling each square with the color of the lower left square, the image will become like a mosaic. For example, the red square range at the lower left would be filled with the color from the red circle area. For the square above it, do the same with process, moving the red circle position the same amount. By repeating the process for each square area of the image, the whole picture will become blurred out with a mosaic pattern. 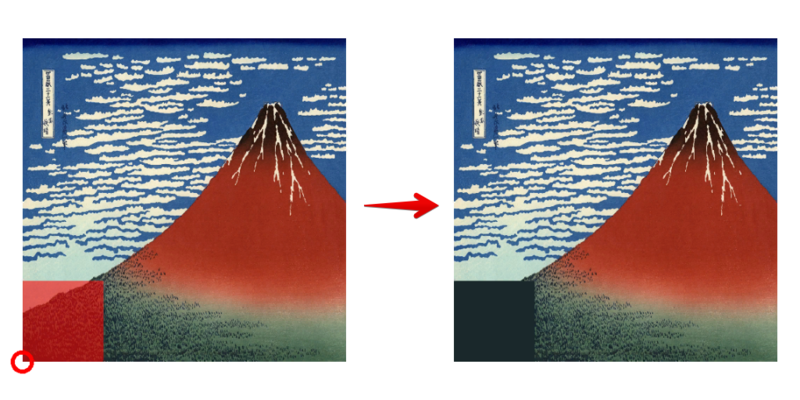 By changing the number of squares (resolution), an interesting effect can be gained. 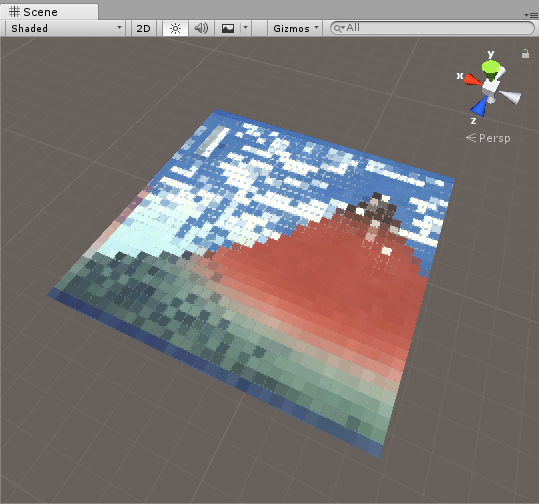 We can create a mosaic effect using Unity materials. 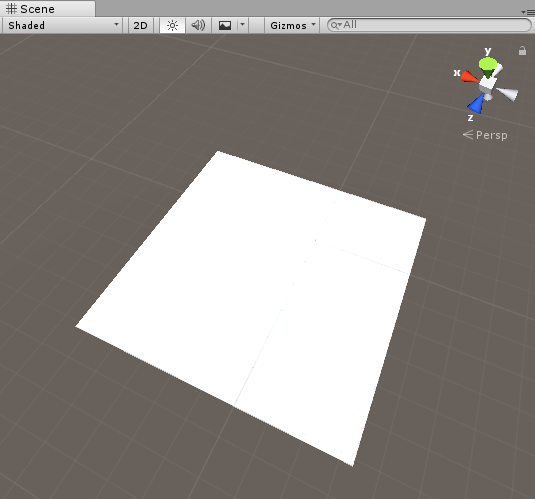 First, create a Shader file, which we are going to use for creating a material. 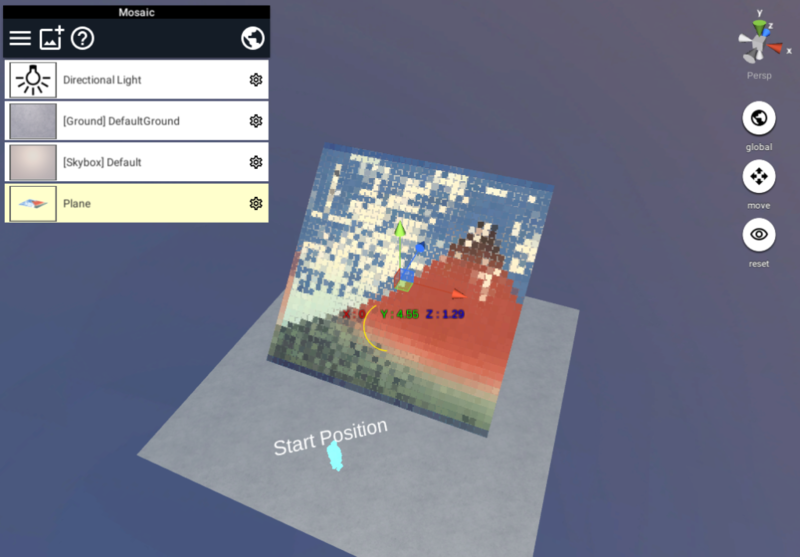 Right click in the Project window, and create a Shader file. 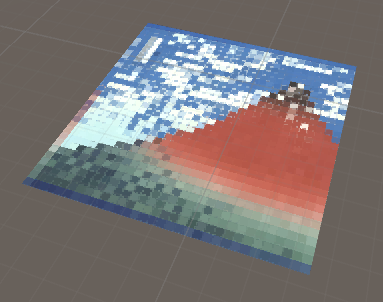 Name the Shader file Mosaic.shader. 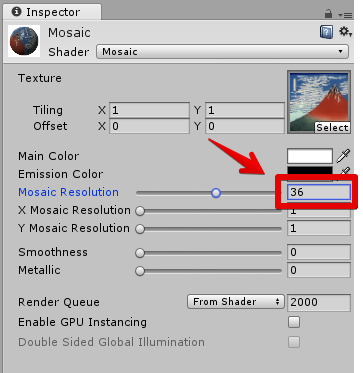 Open the Mosaic.shader and paste the code below. Next, lets create the Material. 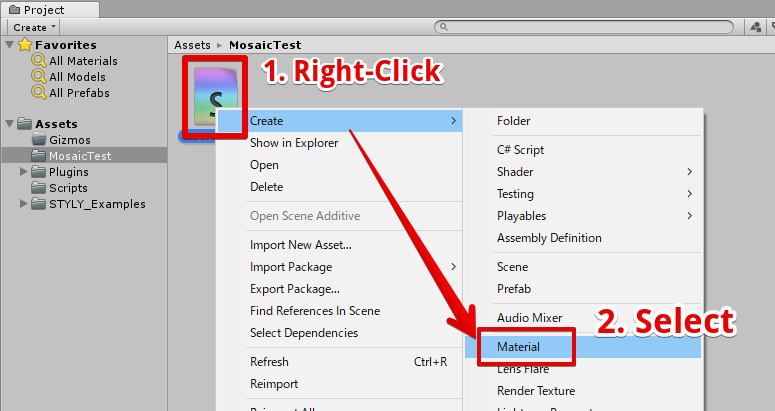 Right click the Mosaic.shader, and select Create > Material. 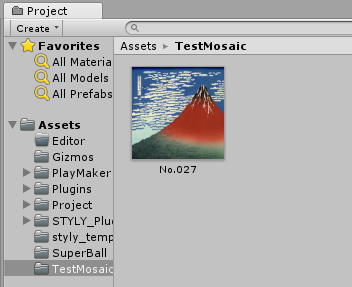 Select the Material, and drag and drop the texture to the Inspector window to add the Texture to the Material. If the Material becomes like the image below, you’re done! 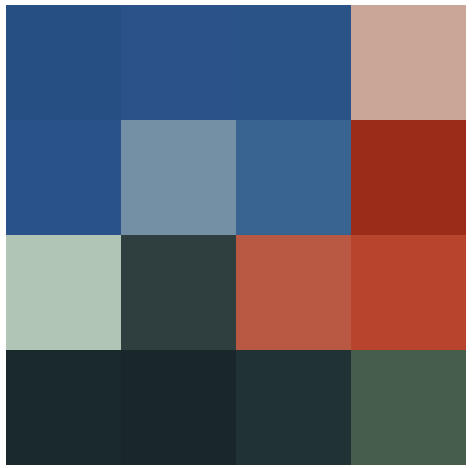 Next, we will create a plane with texture on it, just like the one in the image below. 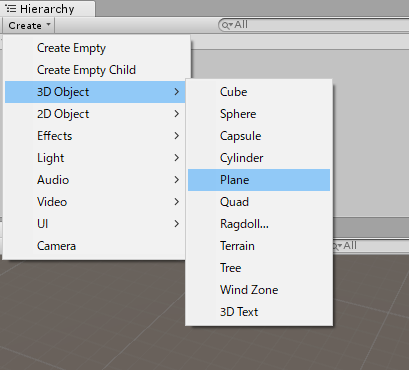 Click the Create button in the Hierarchy window, and create a new Plane object. Now, we’re done with the Plane object! Let’s change the resolution of the Mosaic as we wish. The Mosaic Resolution of the Mosaic Material is the value of the resolution. 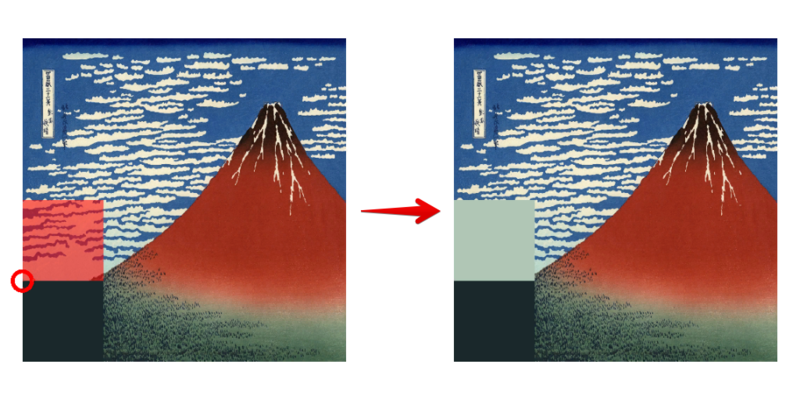 By changing the value of it, we can change the resolution of the Mosaic pattern. In the STYLY Editor, the object will show up like this. 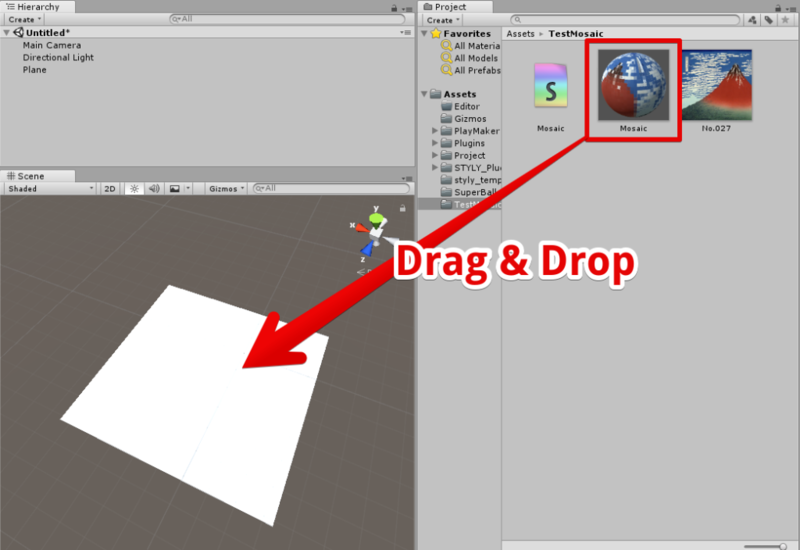 To learn how to upload object from STYLY to Unity, please refer to this article.